Summary : The Neapolitan pizza craze has gotten out of control in New York City, but Forcella is legit. Their pies rival some of the city's best. 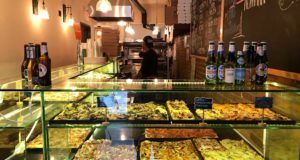 When Motorino’s Brooklyn location was permanently shuttered by the Department of Health this summer because of structural damages to its building, there was an immediate void in the Williamsburg pizza scene. 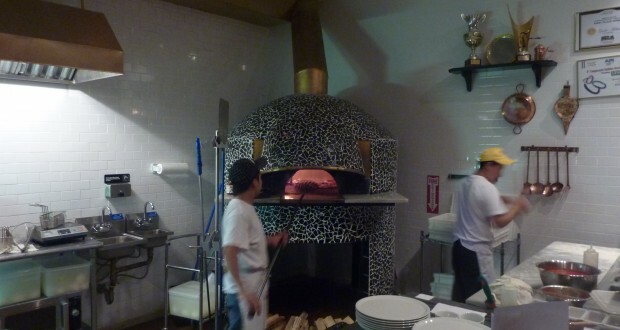 Luckily, right around that time, a new Neapolitan spot was firing up its oven for the first time just a few blocks away. The place? Forcella. The pizza? Awesome. I’ve visited Forcella (485 Lorimer Street) multiple times in recent months and I’ve been incredibly impressed with the quality and authenticity of their pizza every time I’m there. It’s even better than the pizza I’ve had at Motorino. For starters, there is a large selection of pies – more than 20 in total. At first glance, one might wonder how a place can make each pie taste so good. In truth, many of Forcella’s pies share similar characteristics and ingredients. There are at least a half dozen takes on the Margherita including the Materdei (with hot salami), Sanita (with mushrooms), and Port’ Alba (with anchovies). All these pies are the same except for one topping. One pie I can’t get enough of is the San Gregorio (mozzarella, pesto, truffle, and tomato). 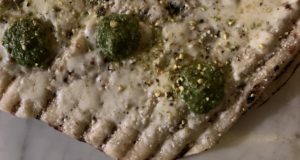 Pesto isn’t used enough on pizza in New York City and this pie gets it right. 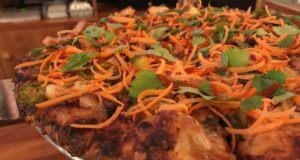 Other menu standouts include the Montanara which is prepared by deep frying the crust, tossing it in a pan, topping it and only then putting it in a wood fired oven. And finally, the Fuorigrotta which is the only pizza I’ve ever had with lemon slices on it. The menu is organized well — a section of eight Pizze Rosse pies (red), followed by Pizze Bianche pies (white), and finally three Pizze Fritte (fried). Everytime I’ve been there, they have also had specials, the best which was a white pie featuring gorgonzola, mozzarella, figs, and prosciutto. In a market with so many pizza places, Forcella has marketed itself aggressively. For starters, they offered a very generous discount on Groupon right after they opened. Generally, businesses with good products don’t offer discounts right off the bat. But Forcella is counting on those customers returning. With pizza this good, it’s hard not to come back. Another tactic, which I’ve never seen used before was as follows: I’d made a reservation at Forcella over the phone the first time I went there. A couple of weeks later, they left me a voicemail thanking me for coming in and offering me a discount if I decided to dine with them again. Finally, and more traditionally, they’ve maintained an active Twitter page through which they promote specials like a recent one for $10 pies on Tuesdays.